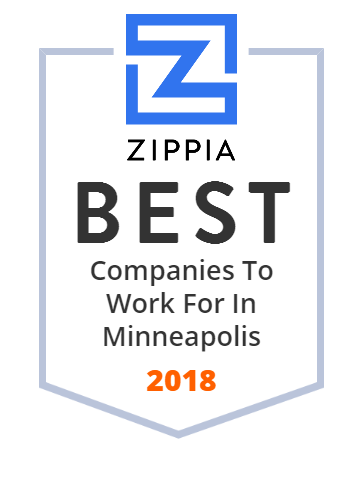 We hand-curated a list of the best companies to work for headquartered in and around Minneapolis, MN using data on salaries, company financial health, and employee diversity. 32284 North Memorial Medical Center, sometimes referred to as North Memorial, is a 353-bed community hospital located in Robbinsdale, Minnesota. As the leader in sleep innovation, Sleep Number delivers high-quality sleep through effortless, adjustable comfort and biometric sleep tracking. They are a visionary in health and wellness, proving the connection between quality sleep and well-being. Headquartered in Minneapolis, Minnesota, Sleep Number has manufacturing and distribution facilities in South Carolina and Utah and a customer contact center in Louisiana. Based in Minneapolis, Minnesota, US Bank provides banking, investment, mortgage, trust, and payment services products to individuals, businesses, governmental entities, and other financial institutions. This company has 3,106 branches and 4,842 ATMs, primarily in the Midwestern United States. US Bank also owns Elavon, a processor of credit card transactions. Ameriprise Financial is a trusted financial firm that empowers clients to enjoy the full and rich life they have earned. This reputable firm has helped millions of clients achieve their financial goals for more than 120 years. Ameriprise Financial has a network of approximately 10,000 financial advisors and a revenue of up to $1 billion. Target Corporation is the second-largest department store retailer in the United States. Headquartered in Minneapolis, Minnesota, this company serves guests at over 1,800 stores and at Target. Com. Since 1946, this company has given five percent of its profit to communities which today equals millions of dollars a week. Target Corporation has around 10,000 employees and a revenue of up to $1 billion. As a leading electric and natural gas energy company, Xcel Energy offers a comprehensive portfolio of energy-related products and services to 3. 4 million electricity customers and 1. 9 million natural gas customers across the eight states: Colorado, Michigan, Minnesota, New Mexico, North Dakota, South Dakota, Texas and Wisconsin. Xcel Energy's workforce of more than 12,000 is rising to the challenge of a dynamic, constantly changing utility industry. BI WORLDWIDE partners with businesses using the principles of behavioral economics to develop measurable sales incentive, customer loyalty, employee engagement and event solutions that keep their client's company energized, inspired and moving forward. Their US headquarters is located in Minneapolis, Minnesota, and they have more than 25 sales offices throughout the US and headquarters around the world in Australia, Brazil, Canada, China, India, Latin America, Singapore and the United Kingdom. Thrivent Financial (/ˈθraɪvɪnt/ THRYV-int) is a Fortune 500 not-for-profit financial services organization headquartered in Minneapolis, Minnesota, and Appleton, Wisconsin and founded by Lutherans. As a member-owned fraternal benefit society, it operates under a chapter system, serving nearly 2.3 million members. Mortenson is a U. S. based, top 20 builder, developer and provider of energy and engineering services company that's committed to helping organizations move their strategies forward. Their broad portfolio of integrated services ensures that its customers' investments result in high-performing assets. Founded in 1954, Mortenson has operations across North America with offices in Chicago, Denver, Fargo, Iowa City, Milwaukee, Minneapolis, Phoenix, Portland, San Antonio, Seattle, Washington, DC , and in Canada. The Valspar Corporation is the fourth largest global manufacturer and distributor of paints and coatings. Since 1806, Valspar has provided customers and consumers with industry-leading innovation, high quality products and superior customer service. This company manufactures and distributes industrial coatings used in a variety of applications including automotive, general metals, consumer packaging and wood. Berkley Risk applies the best-practice standards in all functional areas of an insurance enterprise to support the mission of each self-insured program. The University of Minnesota, Twin Cities is a public research university in Minneapolis and Saint Paul, Minnesota. Piper Jaffray Companies is a leading investment bank and asset management firm. Founded in 1895, this reputable firm is headquartered in Minneapolis with more than 50 offices across the US and in London, Aberdeen and Hong Kong. They offer a full suite of products to serve their clients' business lifecycle needs, geographic reach in an increasingly global market, and deep expertise in our core sectors. Founded in 1870, Tennant Company began as a one-man woodworking business that evolved into a successful wood flooring and wood products company and eventually into a manufacturer of floor cleaning equipment. This company is a global leader in providing designing, manufacturing and marketing solutions that help create a cleaner, safer, healthier world. Tennant Company is passionate about developing innovative and sustainable solutions that help their customers clean more spaces more effectively, addressing indoor and outdoor cleaning challenges. Endeavor Air is an American regional airline that operates as Delta Connection for Delta Air Lines.